I’ve been completely blown away today by the generosity and thoughtfulness of one of my lovely bloggy friends. 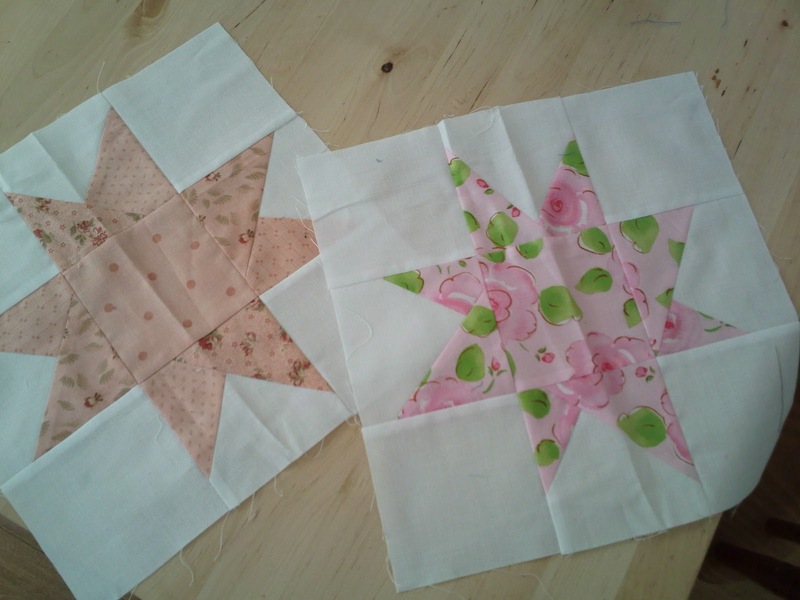 I was waiting for a wee bit more fabric from Susan (Miss September), after I slightly messed up her Brit Bee Blocks. When I saw the large parcel at the front door today I thought ‘that’s a bit big for 2 wee strips of fabric’! I eagerly tore through the brown paper wrapping to find lots of lovely goodies – I was speechless! Of course the fabric I was waiting for was there, as was 2 more Bee Blessed blocks and my PIF (Pay it Forward) gift. 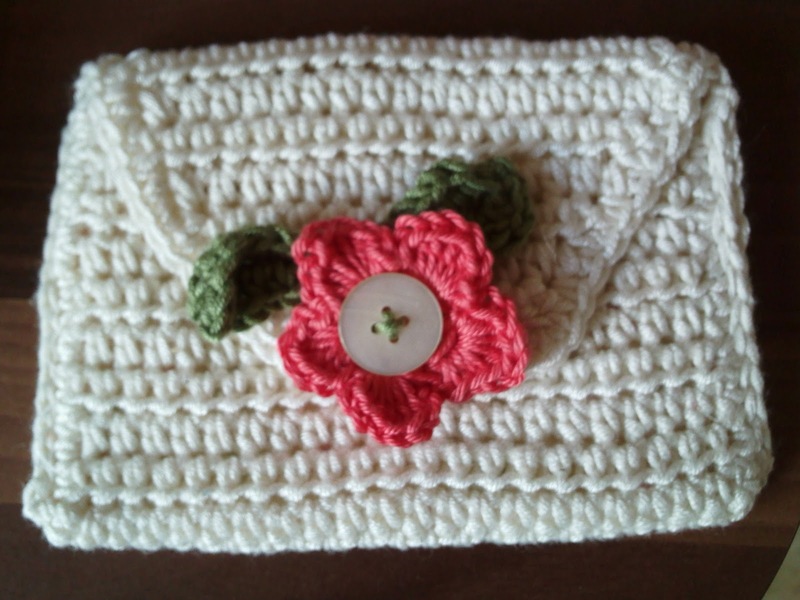 A crocheted purse. I can’t tell you how adorably soft this is AND it’s fabric lined – exquisite! 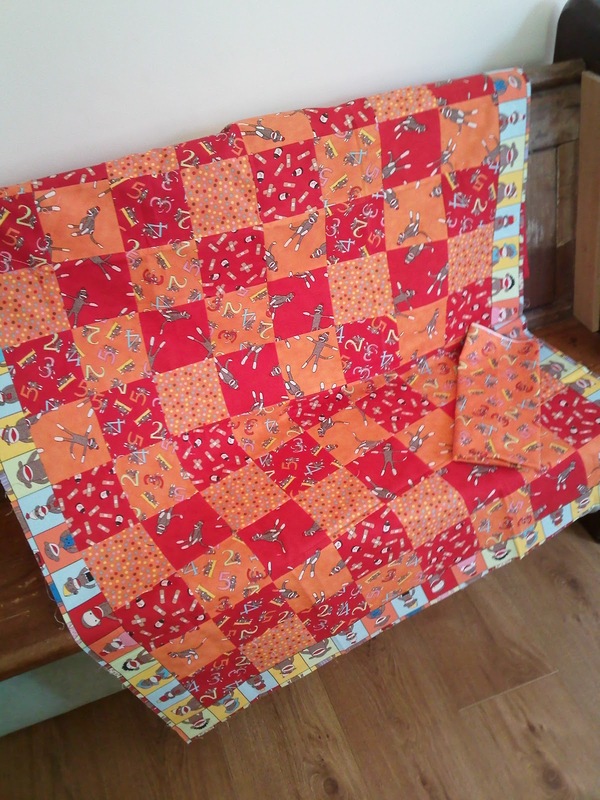 Then I opened this fun kids monkey quilt top, all pieced and ready to be quilted and bound (binding also provided!). Susan is very kindly donating this to Bee Blessed – what a woman!! 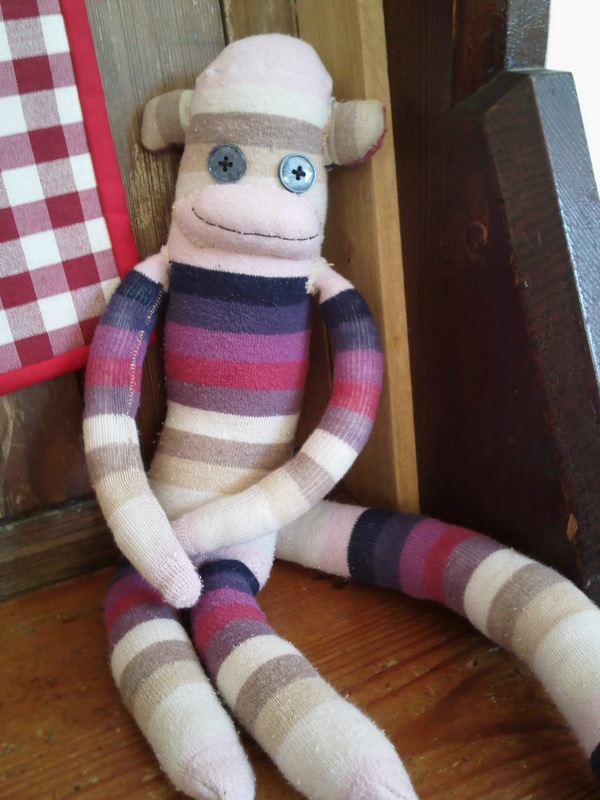 The monkeys on the fabric reminded me of the toy sock monkeys that were the rage a while ago – here’s one my daughter made out of a pair of her socks last year! At then, I came to a really heavy shoe box, and guess what was inside? That’s right, a bucket load of delicious choc chip cookies!! 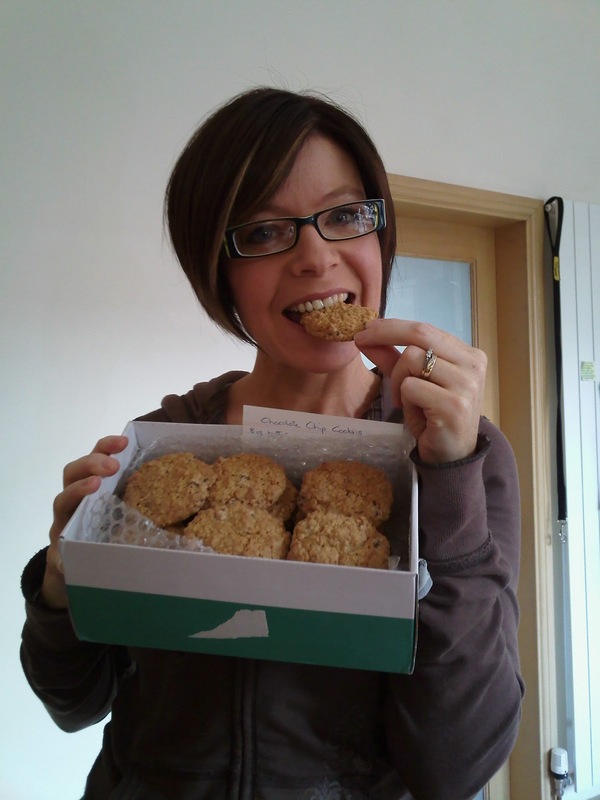 I can honestly say I’ve never received a shoe box of cookies in the post before! Susan – you are a legend! No wonder you were anxiously asking me yesterday had the post arrived!! I haven’t stopped smiling all day! Thank you just doesn’t seem to cover this, but I hope my friend Susan knows that she is v.much treasured by me (& many others) and she has truly touched my heart with her friendship, thoughtfulness and personality. Previous Previous post: I'm a Criminal! Next Next post: Finally – 2 finishes!